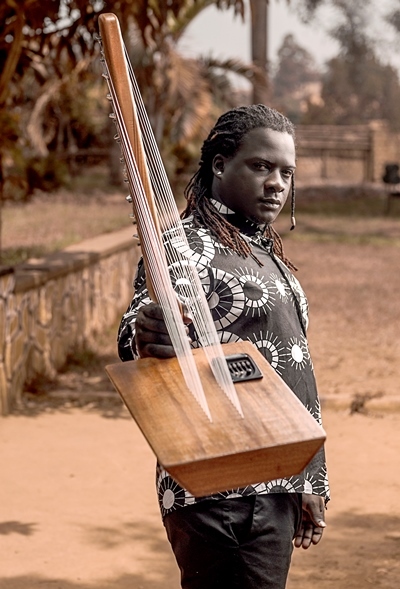 A young artist has become probably the first person in modern day Uganda to invent a musical instrument that could rival the popular west African Kora. James Ssewakiryanga, 31, aka Ssewa Ssewa, created the double scale string instrument in 2015 and has gone ahead to patent it with the Uganda Registration Services Bureau (URSB) as well as the African Intellectual Property Rights Organization (ARIPO) office in Harare, Zimbabwe. Ssewakiryanga, a multi-talented musician in his own right and the proprietor of Janzi Band, says he was inspired by the Adungu, a single-scale string instrument from northern Uganda. But the actual trigger for the creation of the Janzi came in 2014 when he was stopped from boarding a plane in Copenhagen, Denmark with a rudimentary Adungu, when airport security concluded it posed a security threat because of the attached nails it had that acted as tuners. “It was an embarrassing moment. But reflecting on it, they were actually right because here I was travelling with nails. So when I came back, I wanted to address it,” recalls Ssewakiryanga. Adversity is the mother of invention, so goes the saying. And so Ssewa got down to improve the Adungu. “We developed the Adungu into something new. Anyone could tell that some effort had been made. But I was never going to call the Adungu mine. It comes from northern Uganda and probably belongs to a certain culture. “I came up with the idea of the Janzi. It has 22 strings and 2 scales. The Adungu has one scale. This means that there are more things I can do with the Janzi, than I can do with the Adungu,” he says. With the Janzi in his bag, Ssewa Ssewa has embarked on a bigger mission of modernising the various instruments we often refer to as traditional or local. “Most of our traditional instruments are very beautiful and make very good music but they have failed to gain the value they deserve. They have failed to cross borders. One of the reasons is their appearance. They appear so rudimentary. They can give very good sound, but we’ve not paid enough attention to improving their appearance let alone their functioning. “When you go to West Africa, they have transformed the Kora from what used to be a very big calabash into smaller versions. More recent improvements have resulted into an electronic Kora. Ssewakiryanga argues that not only has the Kora become a world famous distinct musical instrument, it is now being sold in popular musical instrument shops in many parts of the world, earning makers a considerable amount of money. “If you want to purchase a professional Kora, you have to part with not less than a 1000 US dollars. I bet if anyone would give you US$500 for an Adungu. 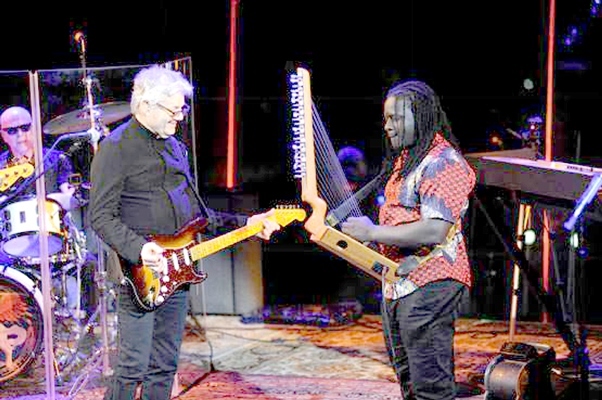 The son of a former percussionist – the late Ssewakiryanga James of the Katwe-bassed Tebifanana Abifuna Troup, Ssewa Ssewa’s efforts have earned him a moment of fame when he was asked to present his Janzi as a gift to the legendary American rock star Steve Miller. “Someone recommended me to him and he asked me to make the Janzi. He gave me 1000 US Dollars for it and asked me if I would be willing to present it to Mr. Miller. I accepted and did so in January this year at the famous Lincoln centers in New York,” recalls Ssewa Ssewa. Since then, Ssewa Ssewa has never looked back. Over the past couple of months, he has been hatching a plan to introduce the Janzi to the Ugandan public as well as a much bigger proposal to popularise Ugandan music and the diverse culture surrounding music by establishing an art centre. On April 13, 2019, Sewakiryanga will unveil his Janzi to the Ugandan public at brief event at Serena Kampala International Hotel. 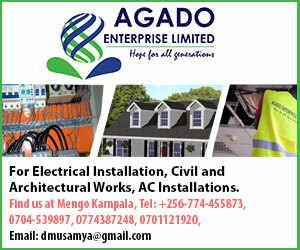 He hopes that the event will help to highlight the need for concentrating minds about the importance of transforming Uganda’s heritage into thriving commercial aspects locally and internationally, but also help create jobs for young people. “I am looking for investors who can help me bring this dream to reality. The art centre will be a place of creations, preservation, modernisation and training of people in the use of Ugandan musical instruments,” he says. His ingenuity not only makes him the best placed person to implement his ideas, given the resources, but also his ability to articulate the vision, coupled with his exposure and experience in making and playing a wide range of musical instruments allows him the credibility to build a unique place for Ugandan music, culture, and a possibly a tourist attraction.